Shopping this Christmas? 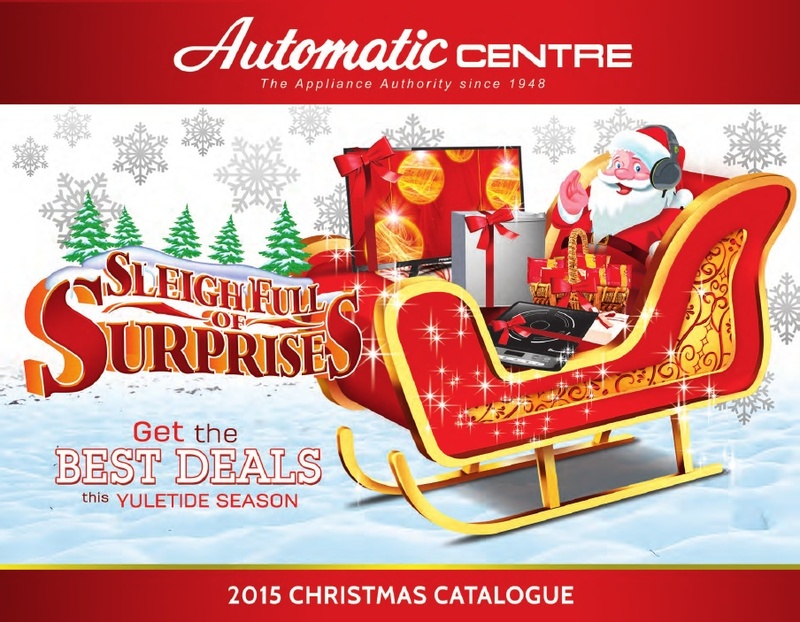 We're going to make your holidays extra special with the launch of our 2015 Christmas Catalog and promo, entitled Sleighfull of Surprises! 1. Promo is open to all participating Automatic Centre & Sogo Ali Mall branches. 4. Only Gadgets at 3 months 0% installment are qualified to avail the freebies. Purchase of gadgets from 6-24 months 0% installment ARE NOT qualified to avail the freebies. 5. On-the-spot discounts are not qualified to avail the freebies. 7. Freebies can only be claimed from the same store where they purchased the items. Freebies not claimed within sixty (60) days from date of purchase will be forfeited in favor of Automatic Appliances Inc., with prior approval from DTI.